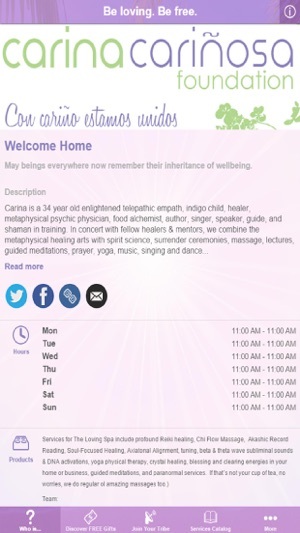 Carina Cariñosa is a telepathic empath indigo starseed, energetic medicinal shaman healer and singer who combines the metaphysical and paranormal arts with voice, dance, spirit science, surrender ceremonies, lectures, guided meditations, prayer, massage, and plant medicines. 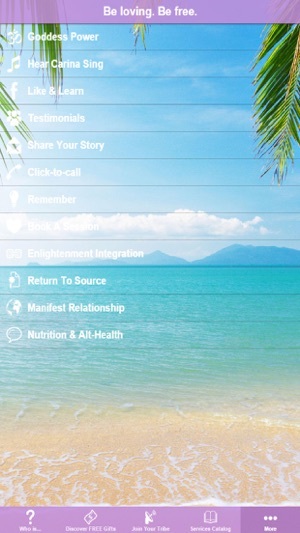 This app features a number of free gifts designed to help you reach enlightenment plus a catalog of healer colleagues who can assist in every manner of spiritual and often physical ailments. Receive 4 hours of free lecture & guided meditations as Carina shares her experience of pivoting out of resistance into a world of abundance and 5th dimensional awareness. Access your free copy of her famous workbook, Manifest Your Ideal Relationship. Join Carina´s now free weekly enlightenment newsletter and learn how to demystify the science of awakening. Explore the spiritual supermarket of on-line gurus and learn to connect more to your Guru Within. Learn about human psychology in a way that you can quickly understand and apply to your daily life as well as cool stuff like chakra balancing, reiki, guided hypnotism, past life regression, DNA activations, and downloading programs for abundant heart centered oneness living. Added providers to the Healers Catalogue. Access Carina's famous workbook, Manifest Your Ideal Relationship. Pre-Order the new book Return To Source: An Empath's Journey To Enlightenment. 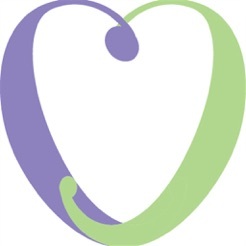 We’ve got our dinger on the pulse of alternative healing and profound changes. The energy work will astound you and supplements really work.